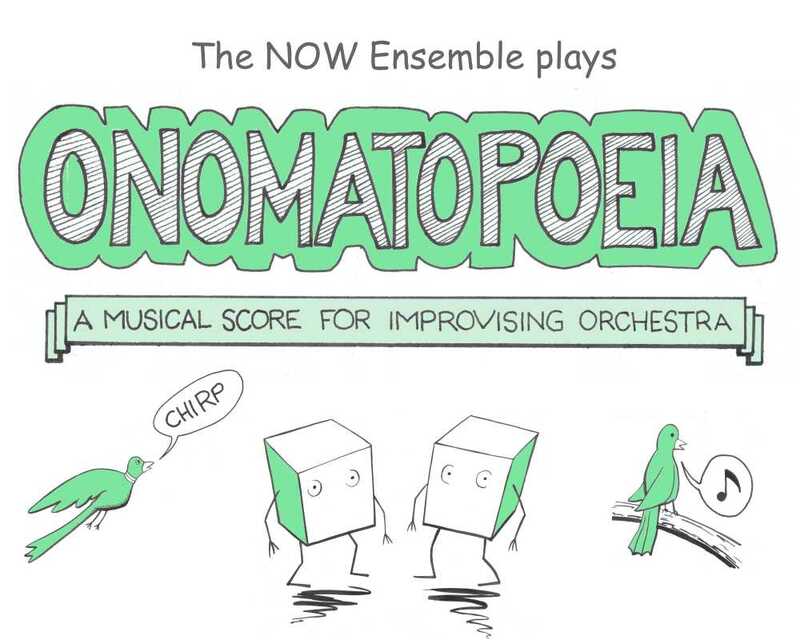 Since 2013, the NOW Society has been presenting improvisation Onomatopoeia workshops and performances. 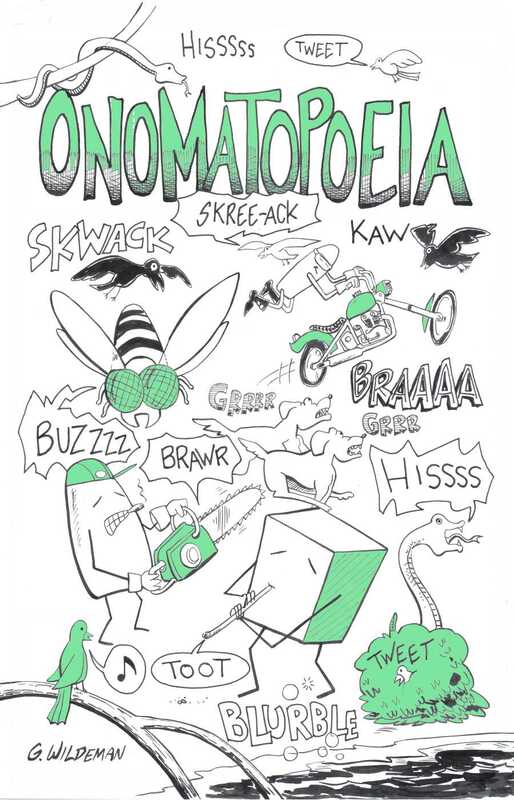 Composed by Gary Wildeman, Onomatopoeia is a 48-page comic book musical score that provides listeners with a direct way to relate to improvised music. The comic features syllables and environments to express the adventures of two iconic characters. In concert, audiences are given a score (and a flashlight), or listeners can follow along at home. 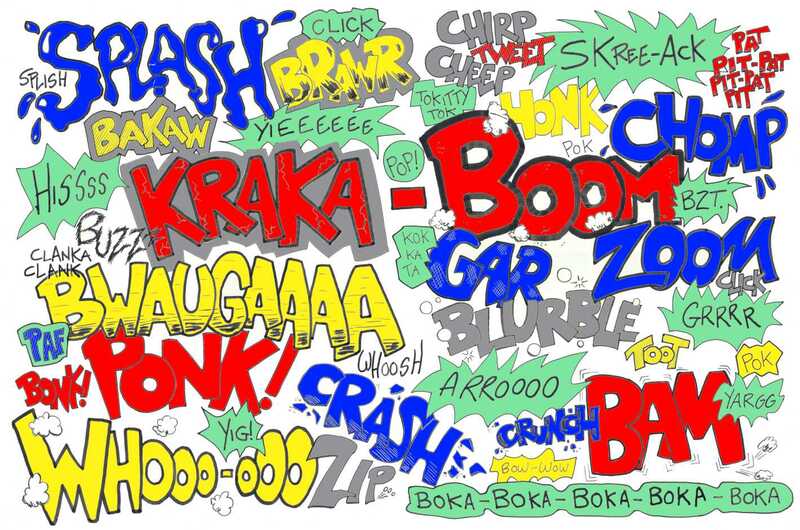 Onomatopoeia is not only presented in performance, but is also used in NOW workshops. Participants with any amount of experience quickly pick up how this graphic score can inspire improvisation as they learn to interpret with delight, courage, and abandon. The creative practices introduced in these workshops allow improvisers to explore the interpretation of imagery in terms of form and connection with abstract sound, not just through playing the score, but also through creating their own score that is then played by the musicians leading the workshops. Following a demonstration of Gary's Work, including a discussion of onomatopoeic syllables, narrative and the generation of scenic landscapes, and a performance of part of the work, participants create their own three-panel comic strip score. These musical scores/comic strips are then performed for the students by the NOW musicians, celebrating each composer. These workshops have been presented in Squamish, BC at the Howe Sound Secondary School, the Vancouver Art Gallery Family Fuse, in the East Vancouver schools, at the Boston School of music and in the Sonic Playground Festival at the Roundhouse. 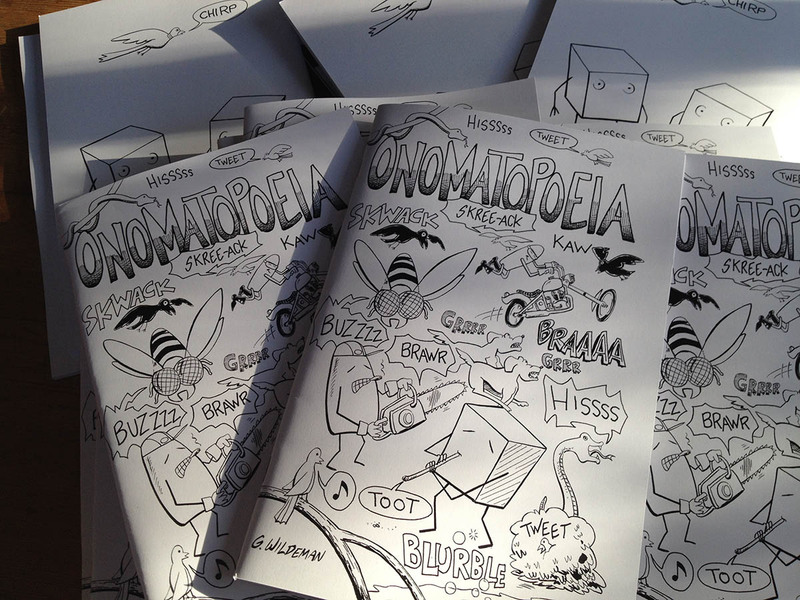 The Onomatopoeia release contains the comic book, CD live recording and a digital download with audio and pdf. full 52 page graphic score, CD and digital download card:MP3 audio files and high-resolution PDF of the score. unlimited streaming, MP3 audio files and high-resolution PDF of the score. Produced by Lisa Cay Miller.